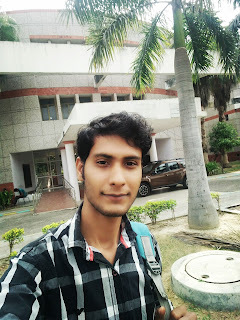 Myself ADITYA SINGH SENGAR,Am pursuing B.Sc(biotechnology) from CHATTRAPATI SAHU JI MAHARAJ UNIVERSITY CAMPUS,KANPUR and my department is INSTITUTE OF BIOSCIENCES AND BIOTECHNOLOGY. I am expert in digital marketing,SEO,SEM and all digital marketing field. 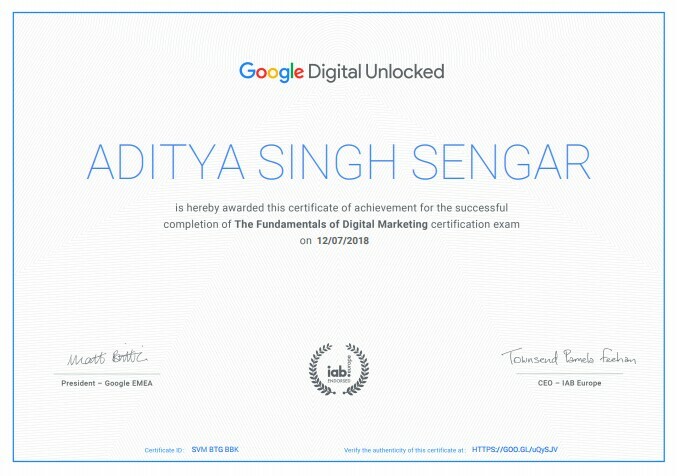 I have achieved success in getting the Google Digital Unlocked Certificate and i got 82% marks in this exam which conducts by Google online. 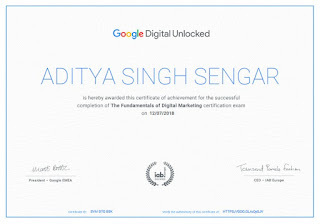 This certificate is certified by PRESIDENT OF GOOGLE and CEO OF IAB EUROPE. As a profession i am a blogger and also a android app developer please support my website ttop10.com. If you are facing any problem in my website so please comment me,I will try to solve your queries immediately. Welcome to our website Thank you. Here you will be told about the top 10 things of all kinds. Please keep them in your website everyday and keep collecting information so that you can also know which items You are the main 10 who you will find information about this website easily. So you have come daily in our website ttop10.com and also support our website. This website is for your convenience and here you will find the things you want, which will be different from the other website and many things will be such that Will be different and new. Therefore, with the eagerness to see new things, keep coming to our website and tell more people about this website so that this website can become a brand in future, so that you can easily get into this website And every person can easily find out about this website which is very important. If you have any kind of problem then you should contact us directly Our contact details can be given below. You can talk directly to us using below no. NOTE:- If you want to get promoted for any item according to your requirement through our website, you can contact me via email. Example:-online voting,product promotion,banner promotion,company promotion all other types of advertising.